We don't usually get to see our supply only projects once they are fitted, but as we know the joiner involved in this project, we have some lovely images of this stunning bedroom. 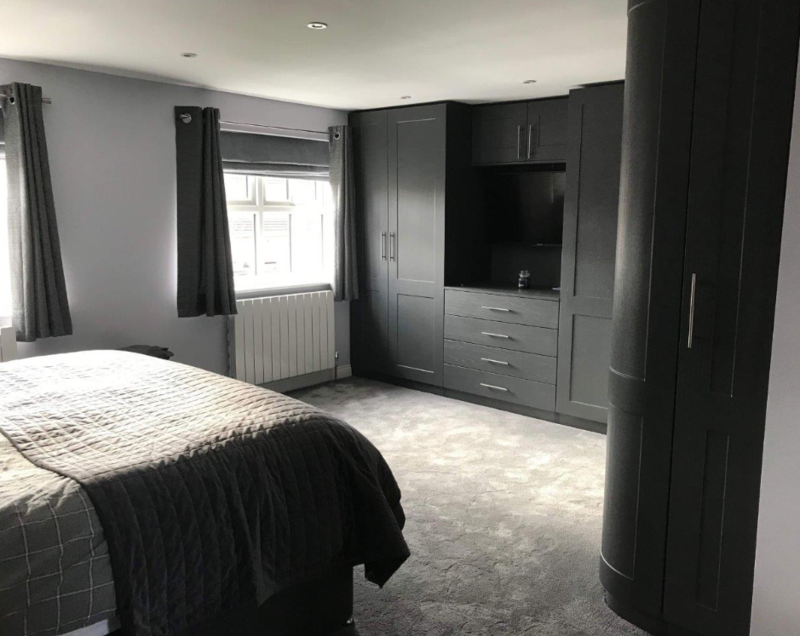 The room was designed in a mixture of Light Grey Oak and Graphite Oak which has been beautifully enhanced by the customers choice of decor. 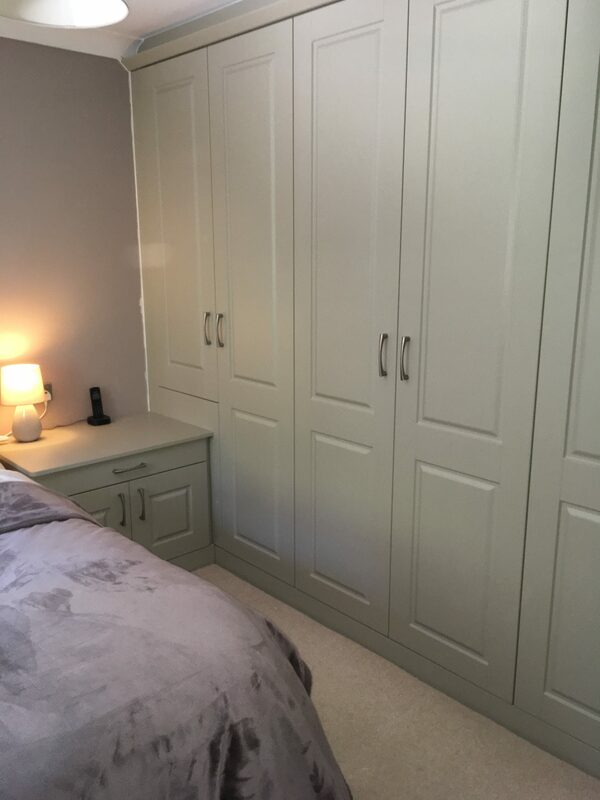 Our made to measure vinyl range of bedrooms can be tailored to your sizes and requirements, including curved doors, whether you want us to fit them or not. 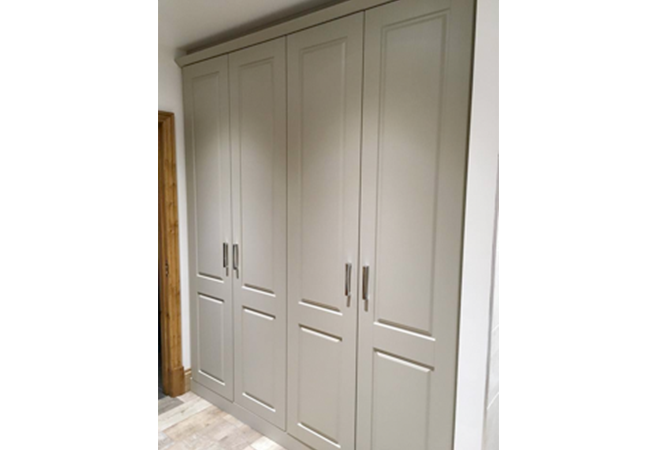 Call in to the showroom to see the range available. Call in, see the showroom and discuss your needs over a coffee. 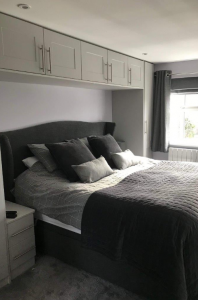 If you have a question about what we have to offer or you would like us to call you to arrange a home survey, why not send us a message!